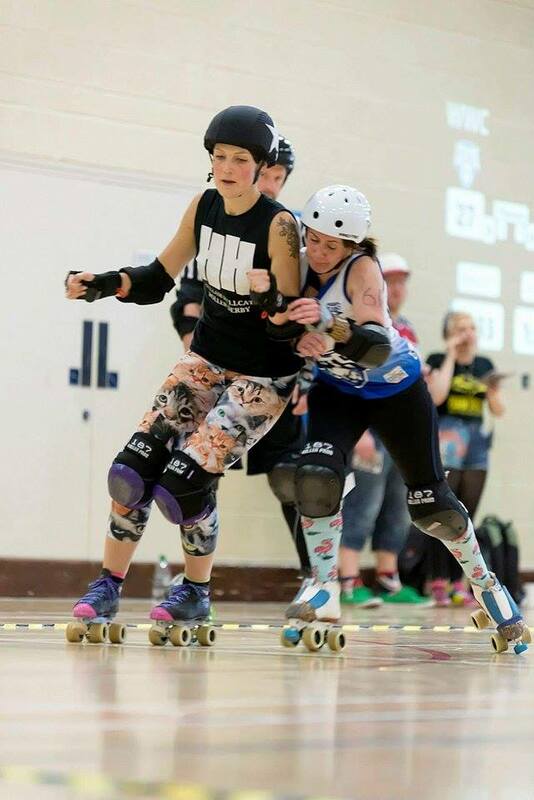 The Wakey Wheeled Cats put up an impressive fight against tough opposition in their latest British Championships tie. 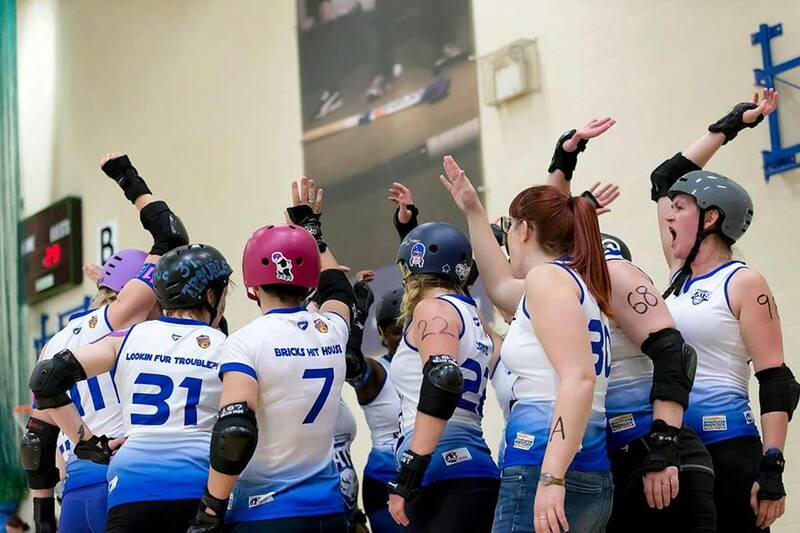 But Hallam Hellcats proved to be too powerful for the Cats, who played a depleted side at Nottingham’s Lee Westwood Sports Centre on Sunday. Hallam made an impressive start, with a Wakey jammer penalty early on allowing them to take a 30 point lead mid-way through the first half. 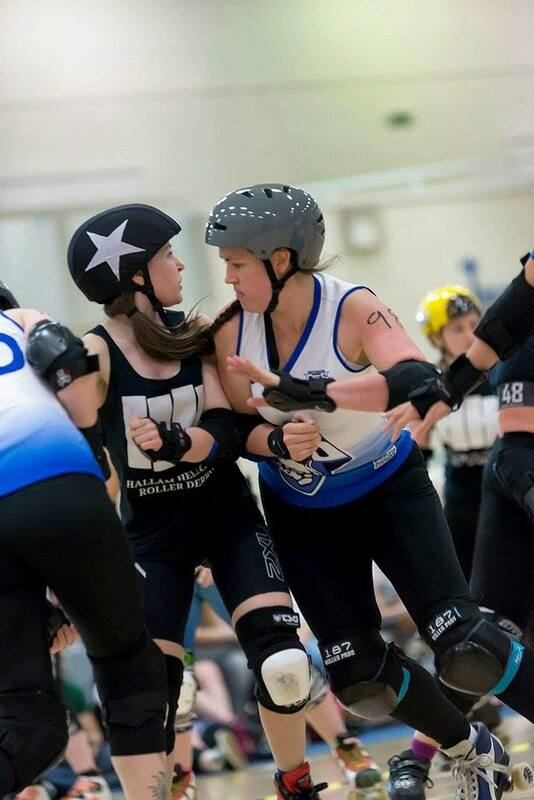 Wakey showed some determination, with jammer Nikki Holt, in her first season playing for the travel team, keeping the Hallam jammers on their toes. But heavy blocking from Wakey failed to contain Hallam’s nippy jammers, who continued to wrack up the points, taking a 97 point to 41 lead at half-time. Hallam’s luck continued into the second half, and they came out the stronger team, soon adding another 20 points as Wakey’s jammers sat watching from the penalty box. Wakey’s Vicki Gray and Holt managed to get the Cat’s score to 85 to Hallam’s 169 eight jams in to the second half, but as Hallam’s lead crept further ahead, a fightback seemed unattainable. However, Wakey did not give up, and with 11 minutes to go, crept closer to triple figures taking the score to 94 to 186 in Hallam’s favour. Gray, Holt and Diana Bracewell added further points in the dying minutes, but a power jam for Hallam in the final jam of the game saw them break the 200 point mark and the final score 209 to 118. The loss means the Cats are now three down in their Championships campaign, and with the highly ranked Borderland Brawlers still too play, look unlikely to progress to play-offs. However, the team is happy with their progression so far. Hallam provided a real challenge for us, and being able to place more than 100 points on the board against them was an excellent result for the Cats.